transport, or are unable to drive yourself and need assistance with transport to a medical related appointment - we can help. We also cover compassionate visits - if you have a family member in hospital or in care ,and need transport - please call us on: 07092 983064. We are proud and delighted to tell you that we achieved our 100 thousandth mile ferrying local people to medical appointments, in early April of this year, 25 years and 8 months since the start of Helpline. at the head of Alburys to hear Francis Montagu's prayer of dedication and to admire the flowering cherry planted, with a plaque, in memory of our beloved and inspiring leader. The new medical practice in Pudding Pie Lane, Langford is in full operation, including the Pharmacy. Local concerns about getting to the new site seem to have died down. Up until the end of August we have dealt with calls to 40 appointments at the Surgery, compared with 29 during the same period last year. There have been two requests for transport to the Broad Street surgery. It is worth repeating that Helpline is there for those who do not have transport with help to attend medical appointments. As it is manned entirely by volunteers, we need as much notice as possible to find a driver. If you need to visit the surgery urgently, we suggest a specific request to the Practice Appointments person. She has a list of contacts from Helpline who might (but no guarantee) be available at very short notice. So far this year this small group has taken 6 calls. Because of my domestic situation, advancing years and a worrying degree of unreliability in keeping my appointments, I have decided to step down from Helpline and let the youngsters take care of the immediate future. (I will continue to drive, if only the shorter journeys). Liz Darcy has agreed to replace me as one of our team of Controllers. I am delighted that Meg Hall has agreed to lead our group. She has a strong committee who will support her fully. I am fully confident that Helpline's future is in safe hands. It has been an honour and a pleasure to follow in Philippa's footsteps. The changes that we made to our administration met with her full approval. I was hugely pleased that she lived long enough to see her 'baby' continue to be greatly appreciated and so successful. If you need Helpline, telephone 07092983064. If you reach an answerphone, leave your name and telephone number and ring off. We will get back to you as soon as we can. The idea of Helpline was conceived by Jean Pattison in 1987 and put into practice in.September of that year. The first committee meeting chaired by John Maggs was attended by Alan Margerison, Angela Carey and Mrs Criddle. 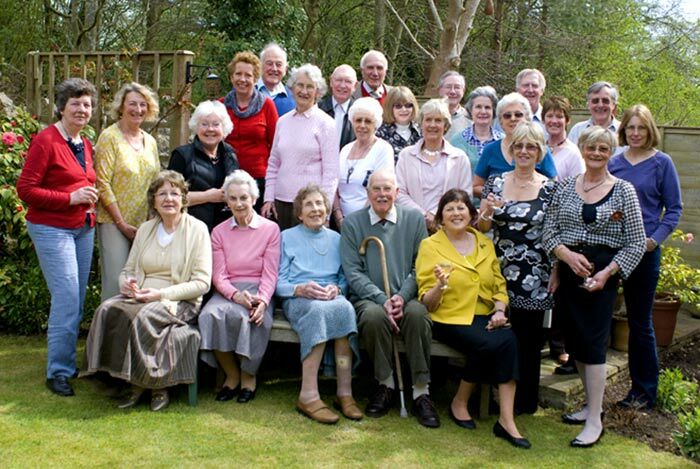 It was noted that £513 was raised at a start-up fundraising lunch party, held at Jean and Brian Patterson's home. eternally grateful for their foresight and energy. John Maggs was the first chairman/controller, followed three years later by Philippa Perks who was assisted by Sarah Macalpine and Norman Jackson as Treasurer. After 20 years Philippa stepped down as organiser and was replaced by a team of six controllers who each spend a week at a time receiving requests and finding drivers to take clients to medical appointments or hospital visits. We are not, and of course, cannot be an emergency service. Primarily we are available for those who cannot transport themselves to their medical appointments or hospital visits. In 25 years our volunteer drivers have travelled 95,000 miles in serving our community. We will reach the 100,000 mark sometime in 2013. All of us at Help Line are delighted to be able to serve our locality in this way. We truly enjoy the contact we have with our clients and get a real lift out of the experience. Help Line evolves continually; our organisers and drivers play their part and are then, in due course, replaced by other kindly and concerned participants. We all agree, the thread of continuity will not be broken as long as there is need for our service. To that end we need to recruit new volunteer drivers. Recently retired car owners, or those who could be available a couple of times a month, are the people we need. Drivers are reimbursed from our donation revenue, at the rate of 42p. a mile (a typical visit to either Weston-super-Mare or the Bristol Hospitals costs Help Line £11). This income comes from clients who donate what they can afford, and from generous local benefactors (both individuals and organisations) who help us from time to time. Should you need to use our service, call us on 0709 298 3064. Please remember that your call will cost you 50p a minute. When you get through, give details of your name and telephone number only. The controller will call you back as soon as possible. If you reach the Answer phone please leave as brief a message as you can.